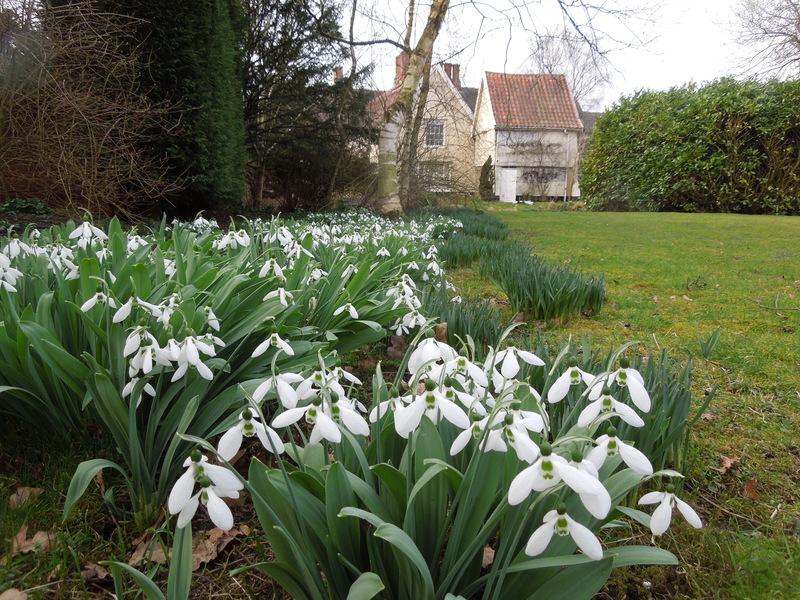 It’s actually beginning to feel like Spring in our neck of the woods, with the garden full of snowdrops, crocuses, primroses and aconites and the first of the daffodils coming into flower. It’s said that in Spring, a young man’s fancy turns to thoughts of love. That’s as may be. Mine turns to thoughts of lamb. Rack of lamb is a marvellous cut, quick to prepare and equally good for a posh dinner party or a family supper. You can French trim the ends of the ribs if you like, which looks daintier, but if I were you I’d enlist the help of my friendly local butcher as it’s a fiddle doing it properly. Partly for that reason and partly because the bones had a lot of meat on them that I didn’t want to waste, I left mine au naturel. I marinated the lamb for a few hours with herbs and garlic, just enough to give it a lift while still allowing the meat to sing through. This cut is so delicious it’s a shame to swamp it. It was good with a potato and celeriac gratin made to a Jamie Oliver recipe (find it here) and braised vegetables. 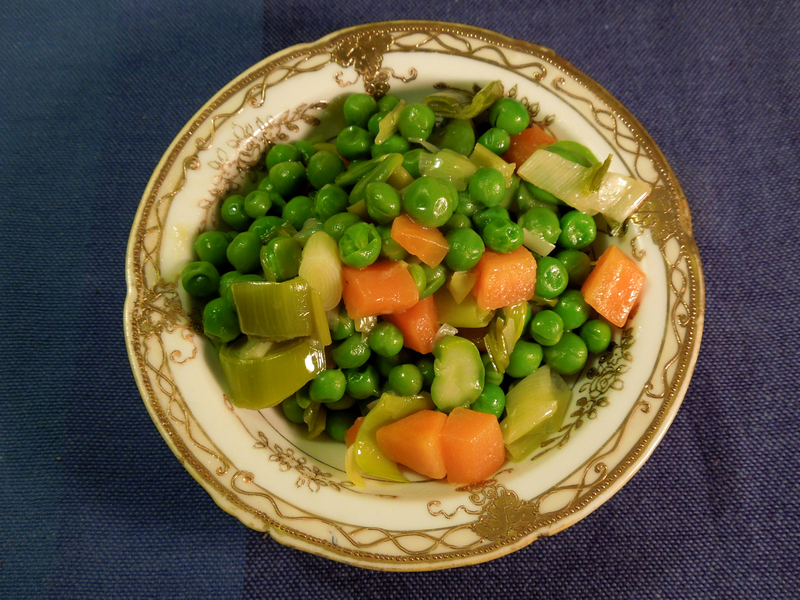 I used leeks, peas, carrots and shelled broad beans but you can ring the changes according to what you have available. 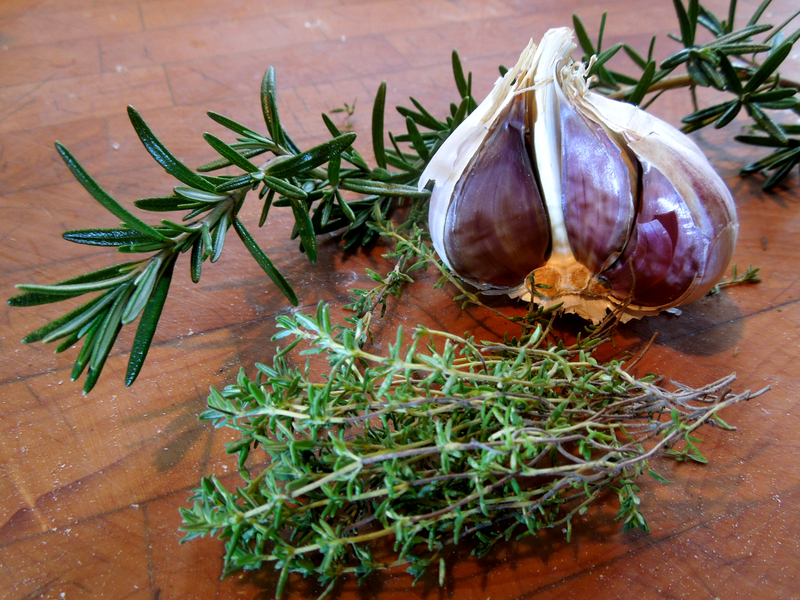 Using a pestle and mortar, squash the garlic with a little sea salt until you have a paste. Add the chopped herbs, oil, and a little ground black pepper and bash it together a bit more. Put the marinade in a sealable plastic bag, put the meat inside, seal and then massage the marinade into the meat, covering all the surfaces. 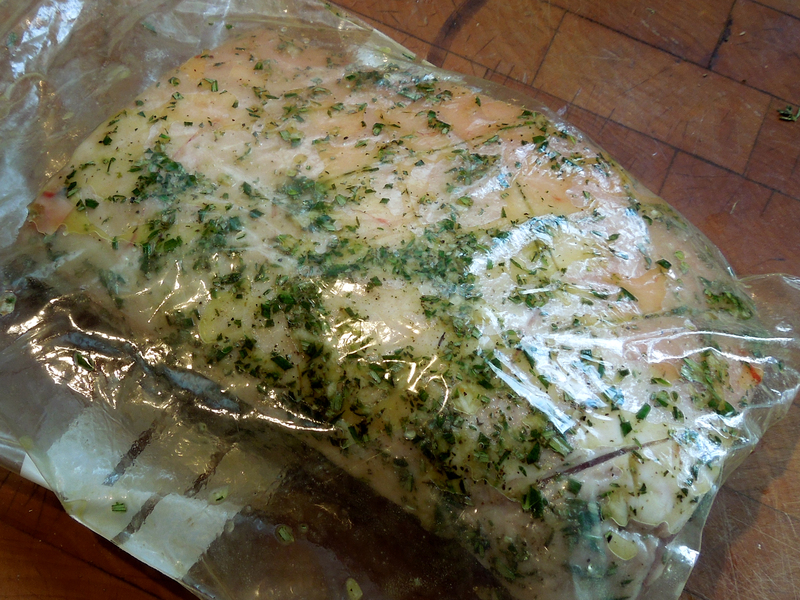 Place in the fridge for a few hours or overnight but let it come back to room temperature before you start cooking. Heat the oven to 220C/425F/Gas Mark 7. Heat a little oil in a roasting tin on the hob and quickly sear the lamb all over. 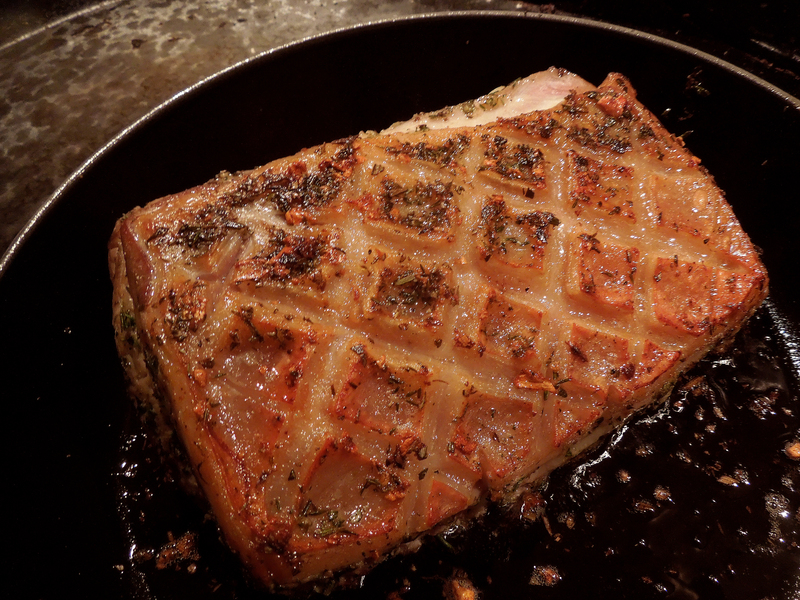 Place it in the oven for around 15 minutes, which should produce pink lamb cooked medium, but it does depend on the size of the chops. Mine were big and could have done with a few minutes more. Remove from the oven and leave to rest for 10 minutes somewhere warm. For the braised vegetables, melt the butter in a large saucepan and add the leeks and carrots, with a pinch each of salt, pepper and sugar. Stir to coat with butter then put on a lid and braise on a low to medium heat for three or four minutes, until they’re just al dente. Add the rest of the vegetables, give it all a stir, put the lid back on and cook until tender, another three or four minutes. This entry was posted in Lamb and kid, Mains, Vegetables and salads and tagged braised vegetables, Herbed rack of lamb, lamb chops, rack of lamb by Linda Duffin. Bookmark the permalink. Thank you on both counts! So lovely to have flowers in the garden again. Very cheery.